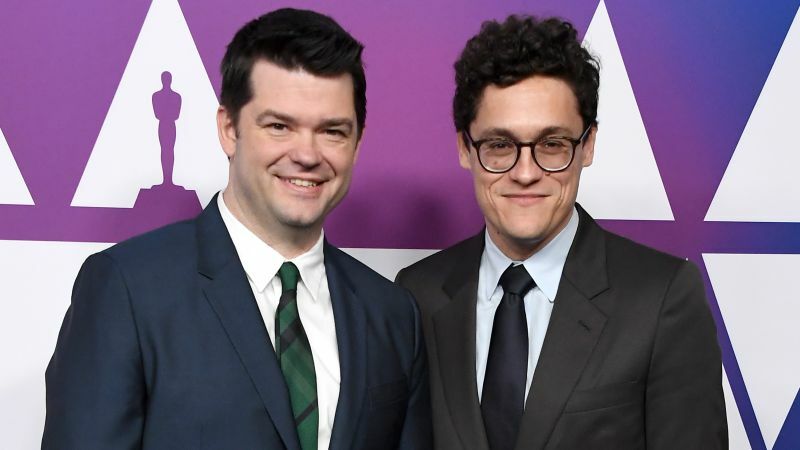 The Hollywood Reporter has brought word that Phil Lord & Christopher Miller (Spider-Man: Into the Spider-Verse)’s next project, an adaptation of the sci-fi children’s novel The Last Human, has sparked a heated bidding war between studios. The novel, written by Lee Bacon, is set in a future where robots have eliminated the human population, but a 12-year-old robot is surprised when it discovers a human girl named Emma who is still alive, having survived by hiding in an underground bunker. The two form an unlikely friendship as they embark on a journey in search of a mysterious place on the map, challenging the prejudices of the new future without war, pollution or crime. Henry Gayden, who co-wrote the script for the upcoming DC Extended Universe film Shazam!, has been attached to pen the script for the adaptation, with Amulet Books set to publish the book on October 8. According to THR, Sony and Warner Bros. are the two contenders for the adaptation, the former having produced the duo’s recently acclaimed comic book adaptation, Spider-Man: Into the Spider-Verse that recently won the Golden Globe for Best Animated Feature and is the frontrunner to win the Oscar, and the latter having produced the duo’s animated hit The Lego Movie and its sequel and spin-offs. In addition to the hit LEGO franchise, which just released the long-awaited sequel The Second Part to highly positive reviews, Lord & Miller were last seen behind the camera on Solo: A Star Wars Story, having been removed over halfway through filming, and are attached to direct the upcoming adaptation of the 2017 sci-fi novel Artemis for Fox.